July 2016: Auditorium Renzo Piano, L’Aquila. To celebrate the 200th anniversary of the first performance, has been staged the Barber of Seville by Rossini. Aurelio Canonici conducted two applauded performances guiding the singers, the choir and the Youth Orchestra of the Conservatory “Alfredo Casella” in a performance that returned the Rossini’s comic masterpiece in all its freshness and joyous communicative, receiving an enthusiastic reception from the audience. 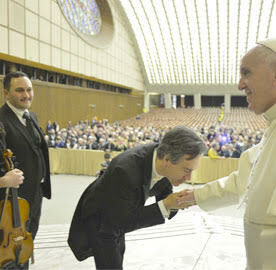 January 2016: Aurelio Canonici conducted a program of sacred music at the Vatican (Sala Nervi), receiving compliments from the Holy Father Pope Francis and warm applause from an audience of nearly 4,000 people. Together with the Orchestra, the Chorus and Soloists of the Conservatory of L’Aquila “Alfredo Casella” was performed, among other pieces, the Coronation Mass by Mozart. 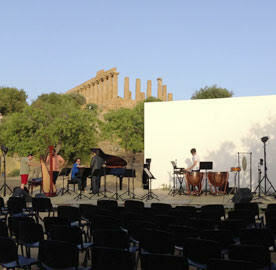 August 2015: Invited for the second time to the Valley of the Temples, Canonici wrote for this place – so rich in history – a new piece entitled “For Xenocrates of Agrigento”, for chamber orchestra and narrator. 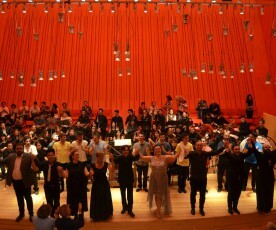 Virginio Zoccatelli conducted the Soloists of the “Academy XXI Century” supported by actor Enzo Gambino. 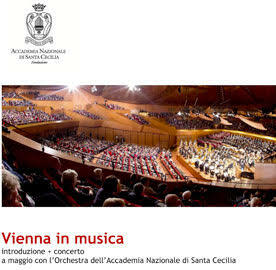 May 2015: Aurelio Canonici has been invited to explain classical music to the public of Santa Cecilia. In a series of acclaimed piano lessons Canonici analysed and illustrated masterpieces such as the Fifth Symphony of Shostakovich, the First and the Fourth Mahler’s Symphony, Mozart’s “Jupiter” Symphony and Beethoven’s Second Symphony. April 2015: debut on the podium of the Sofia Philharmonic. 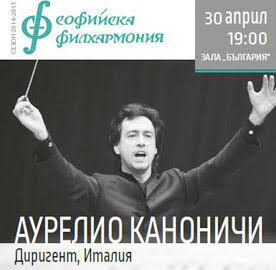 Aurelio Canonici has proposed to the audience in Sofia a highly-regarded symphonic program, conducting Beethoven’s Overture to the Consecration of the House, the third piano concerto, and Brahms Symphony n. 3. March 2015: the successful cycle of lectures on Mozart at Teatro Vittoria ends. Aurelio Canonici has been followed by a large audience between November and March during his piano lectures about Mozart’s life, style and language with a particular analysis on Don Giovanni and The magic Flute. 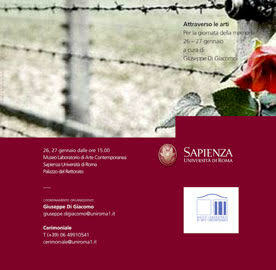 January 2015: at the Laboratory Museum of Contemporary Art – at the Sapienza University – took place an intensive seminar to celebrate the Remembrance Day “Through the Arts”. Aurelio Canonici gave a lecture to illustrate the figure of Olivier Messiaen and to explain and analyse his piece: “Quartet for the End of Time”. 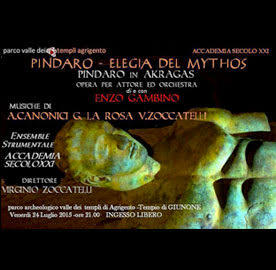 July 2014: in the amazing setting beneath the temple of Juno Aurelio Canonici’s “Empedocle, l’Amore e lo Sfero” (Empedocles, Love and the Sphere) – conceived for chamber orchestra and specially written for the occasion – has been played for the fist time. 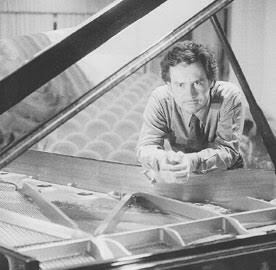 Virginio Zoccatelli has conducted the orchestra and solists of the “Accademia secolo XXI”. 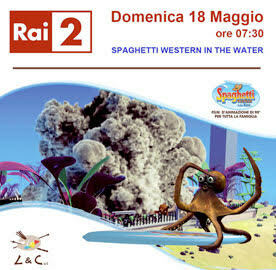 July 2014: “Spaghetti western in the Water” (a 90 minutes long lasting action film) is broadcasted on the Italian Television channel Rai 2. The film makes use of a sound track entirely composed by Aurelio Canonici. The music lively blends different styles and languages – from electronics to cartoons, with tributes to Italian Western movie style and to the great Ennio Morricone. April 2014: the cycle of conferences at the Teatro Vittoria in Rome – dedicated to the most popular Puccini Operas – successfully concludes. 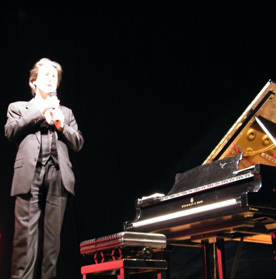 A large audience followed Aurelio Canonici between December and April in a series of lessons at the piano in which the Maestro explained through numerous musical examples the language of Bohème, Tosca and Madama Butterfly.